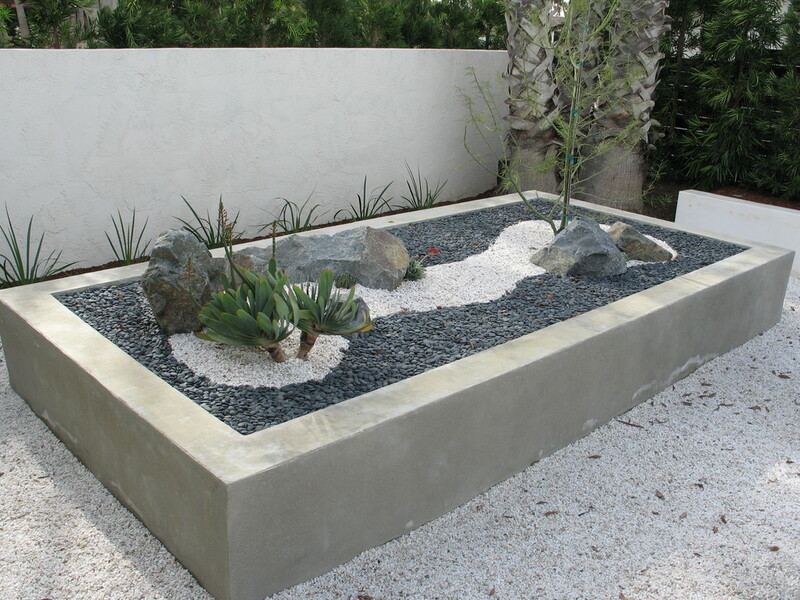 Zen Garden Designs – Zen in Sanskrit or Mandarin dialect means ‘meditative state’, and a zen garden will really make your relax and reflect a little. 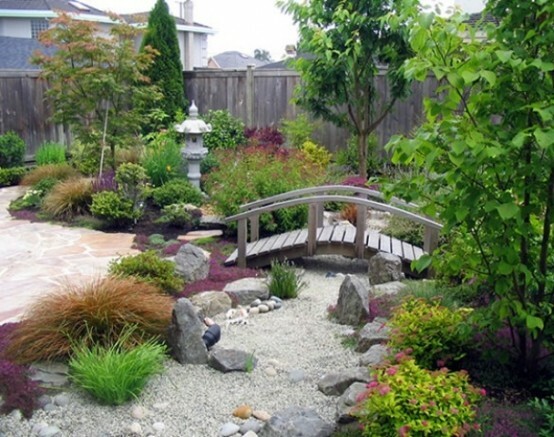 Such a place is very calm and you can easily design it in your own garden just realizing some features. 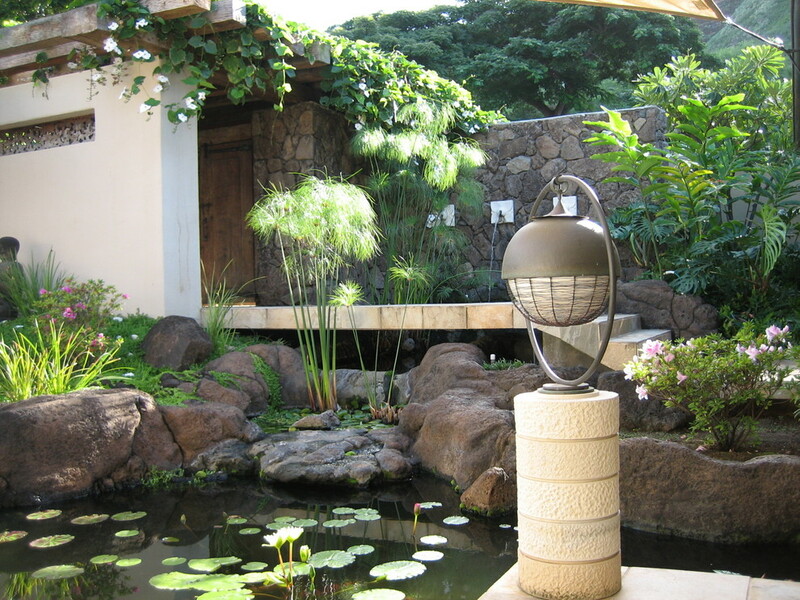 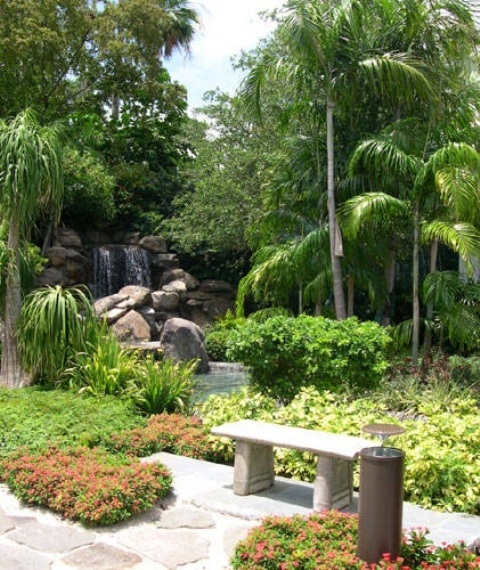 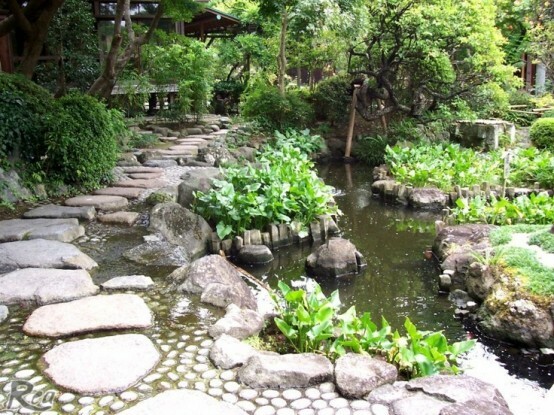 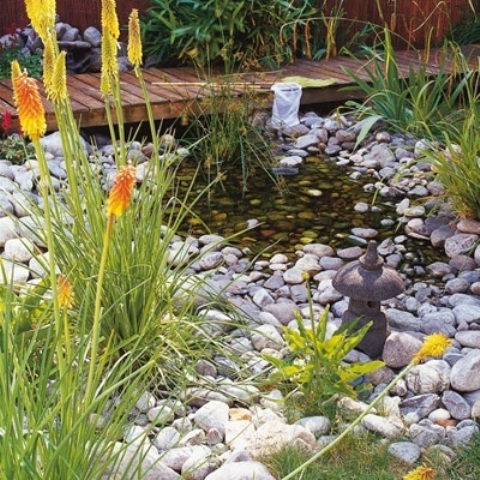 A pond with carps, sand garden and big stones, moss and lots of green will help you to create an atmosphere. 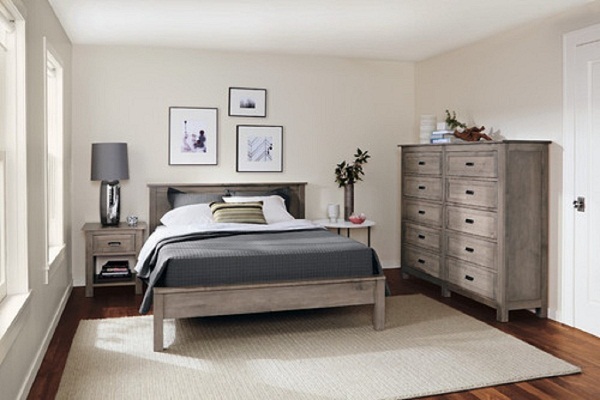 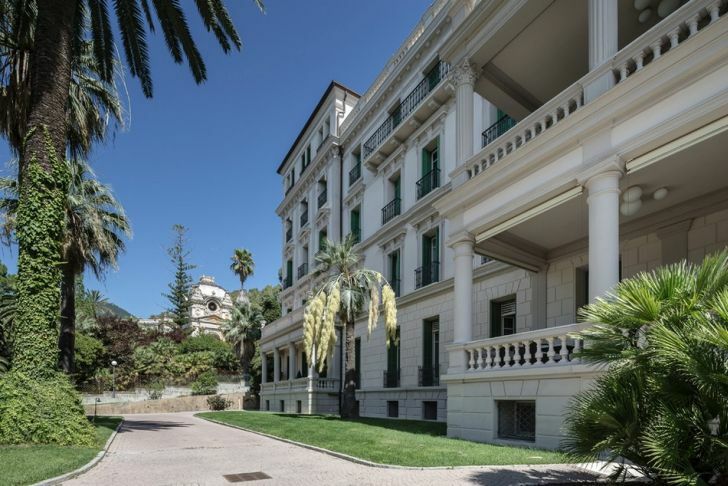 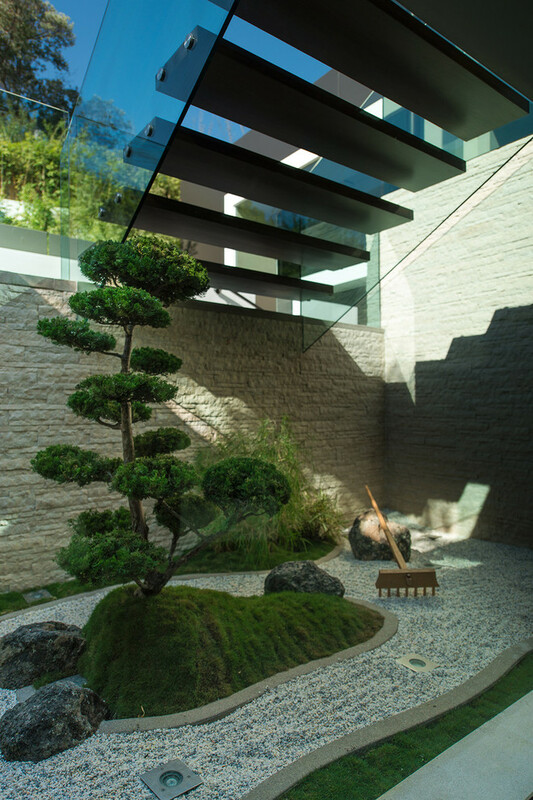 Add wooden bridges, pebble covered areas, water lilies, classical Japanese lanterns, a fountain, some lights and voila – your inspiring and philosophic space is ready! 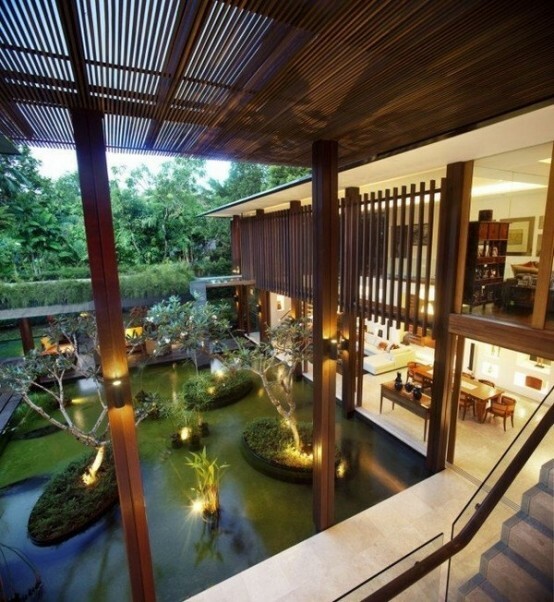 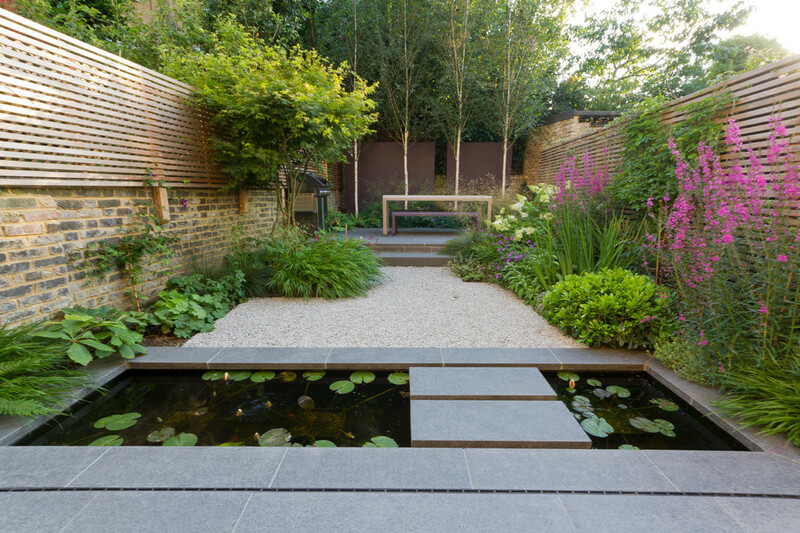 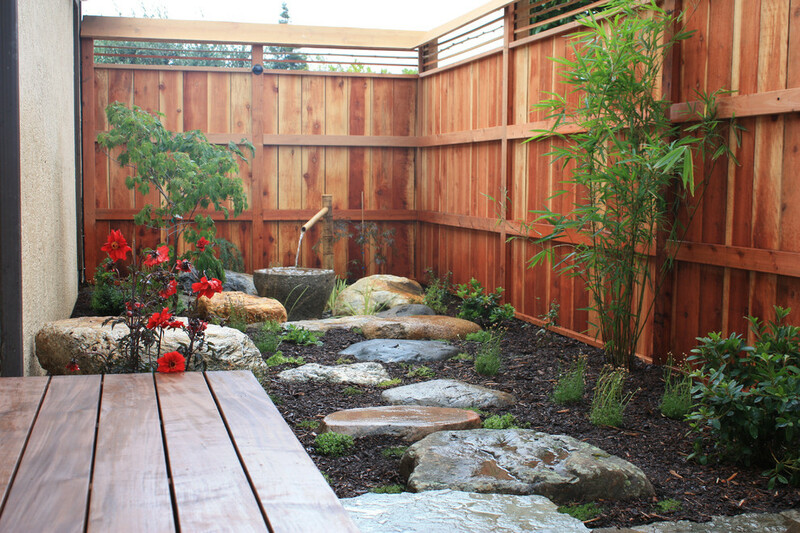 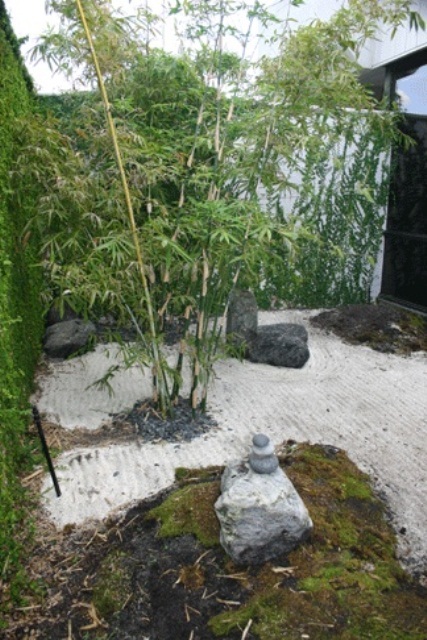 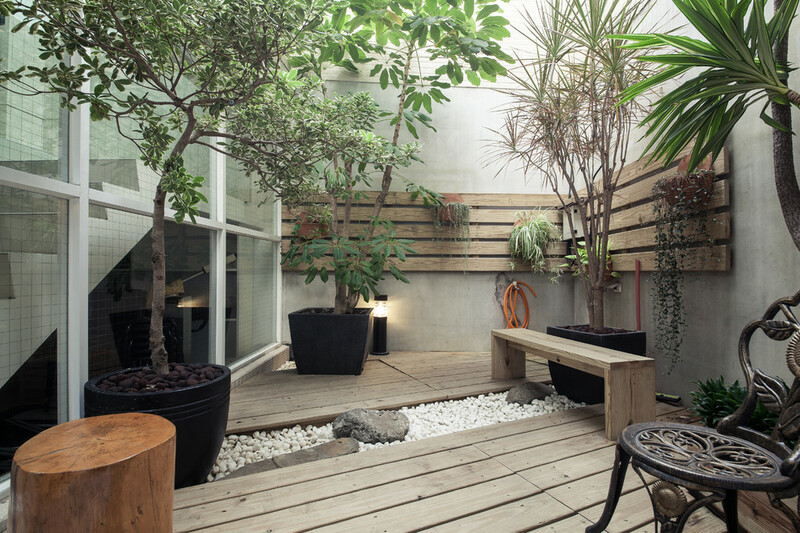 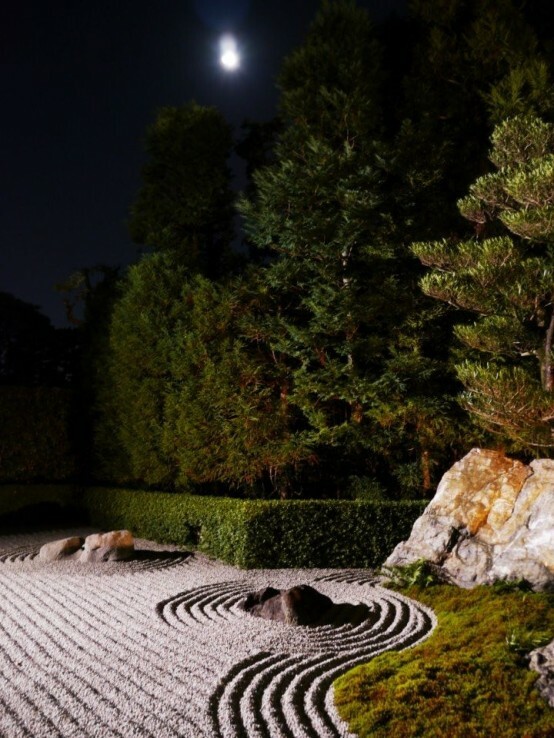 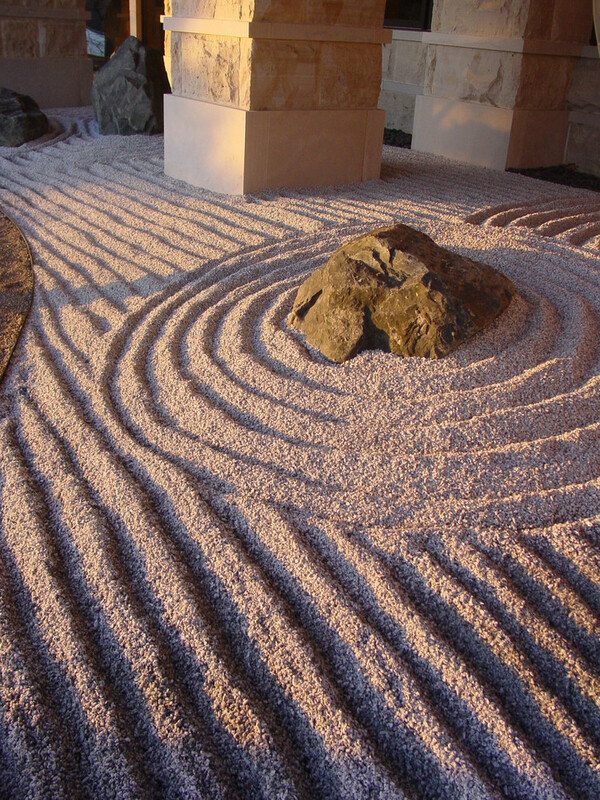 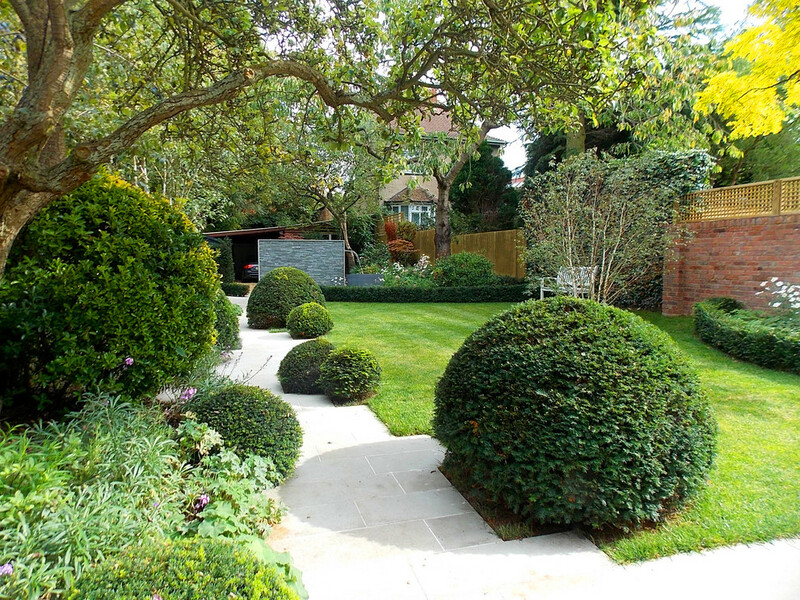 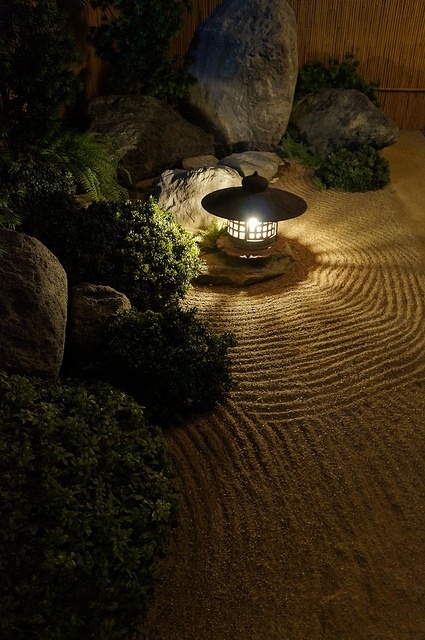 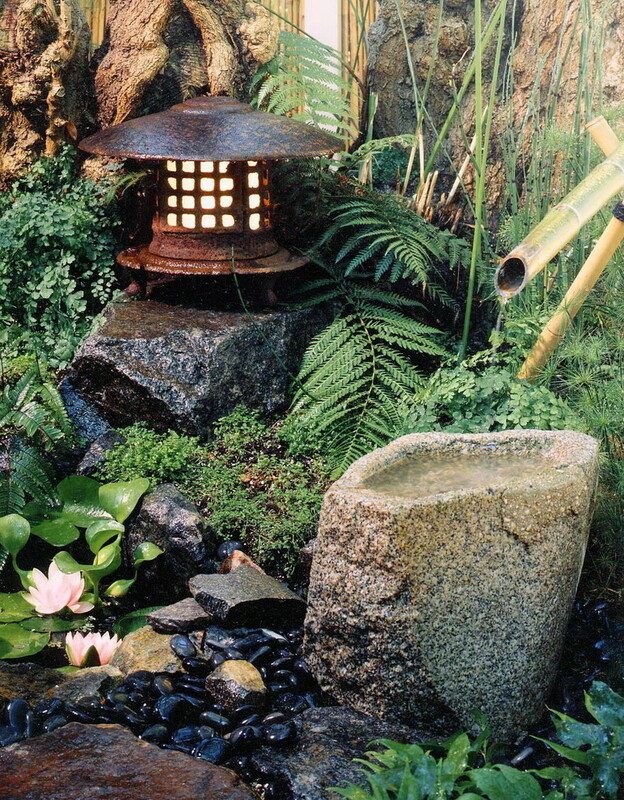 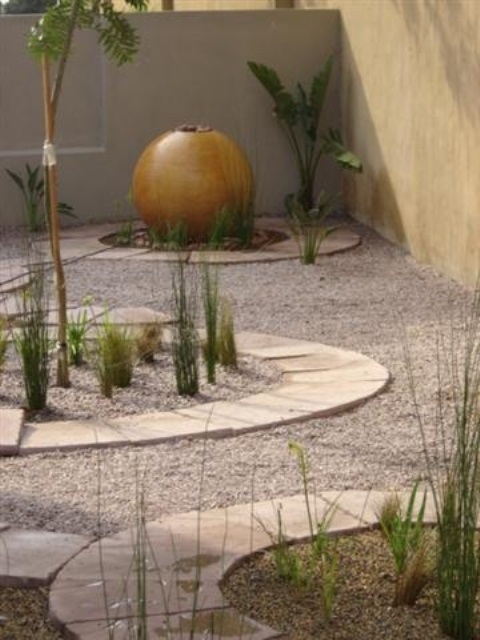 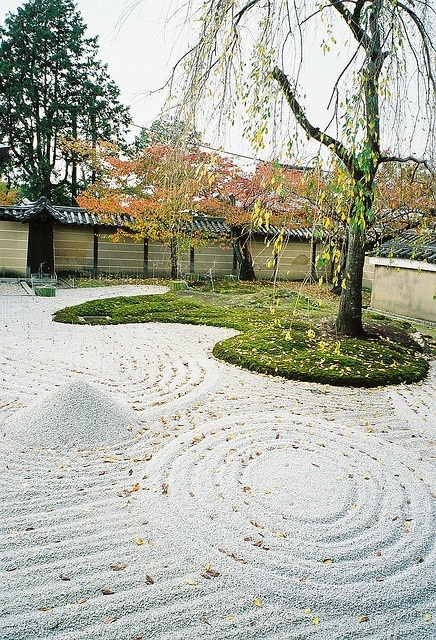 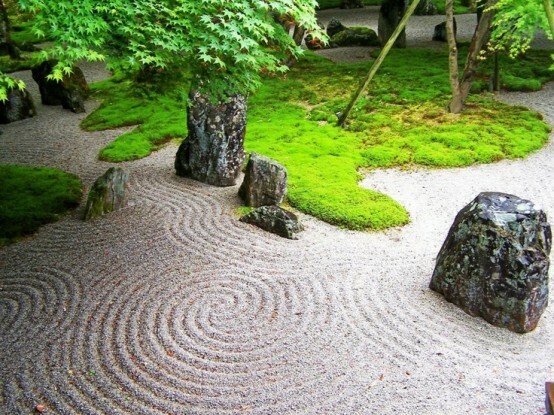 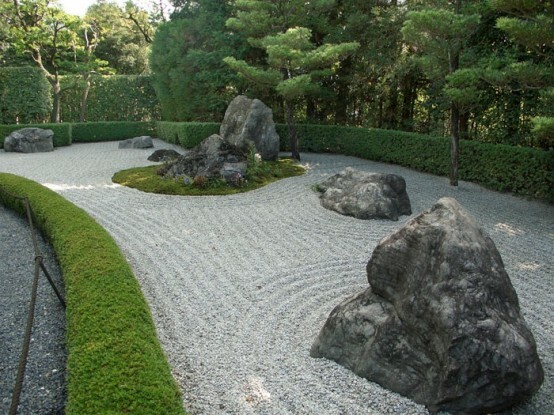 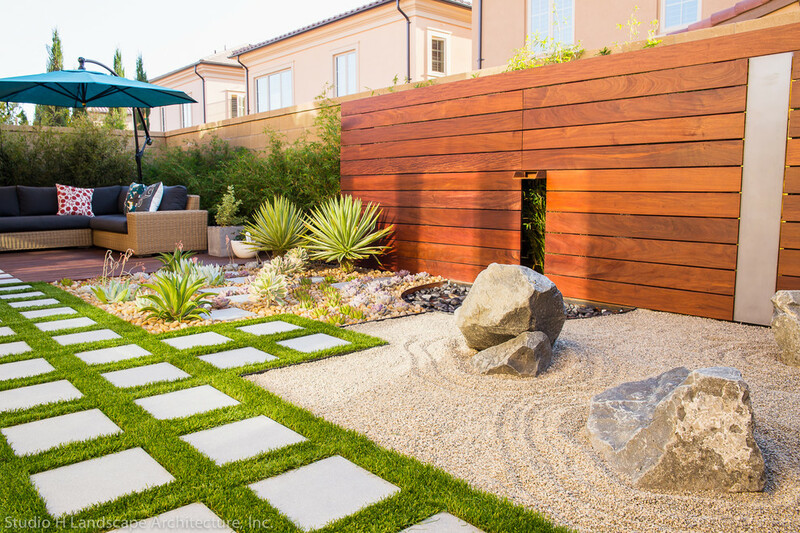 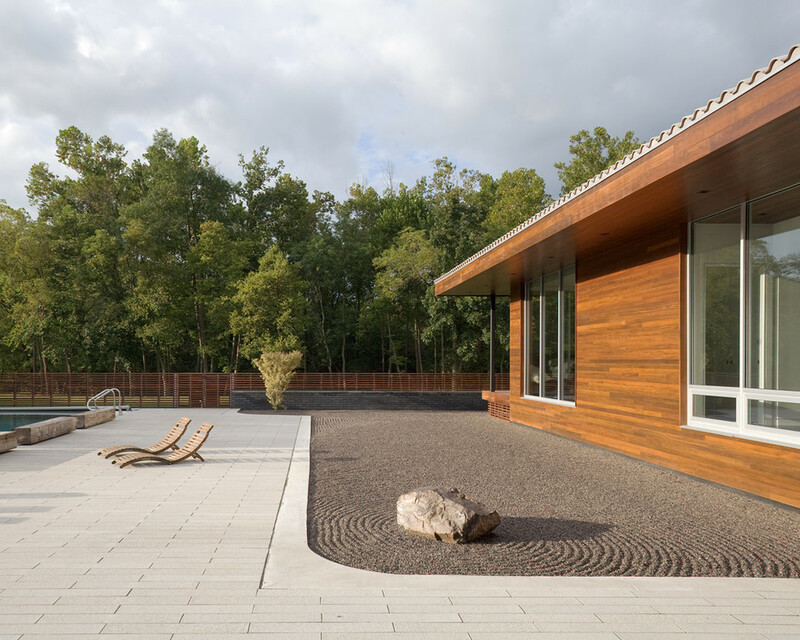 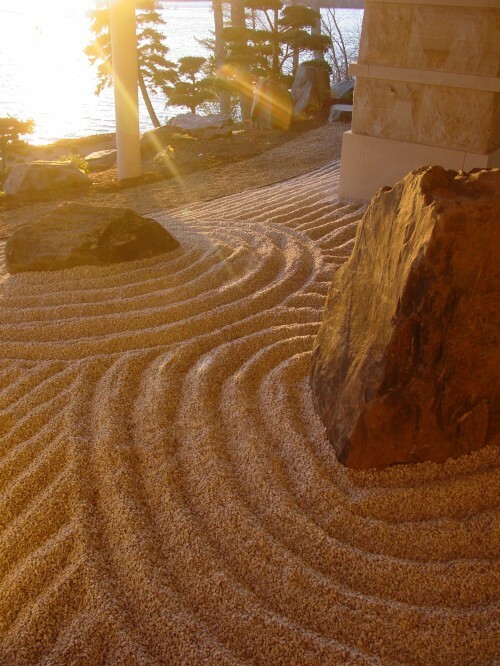 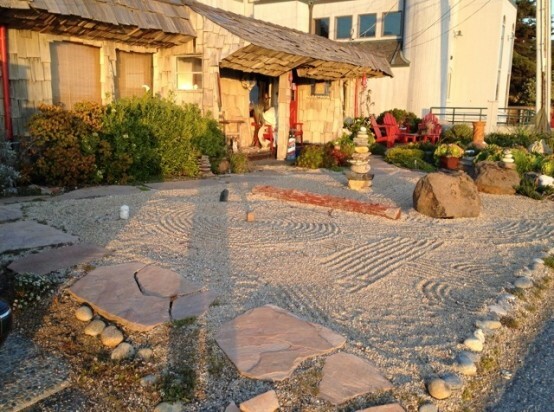 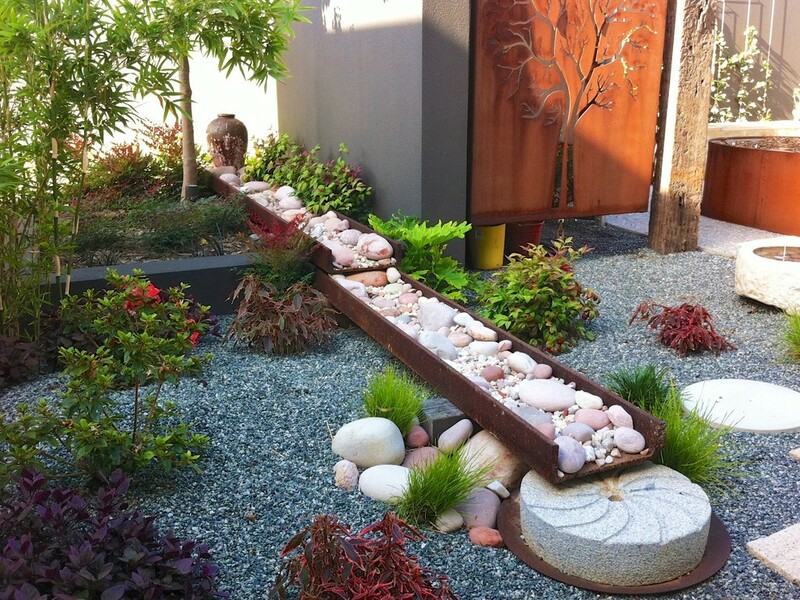 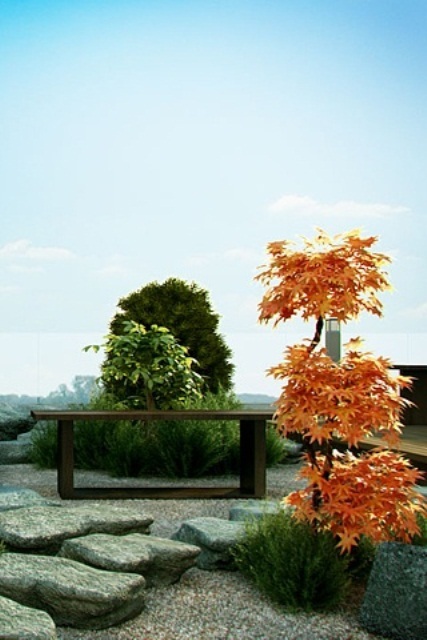 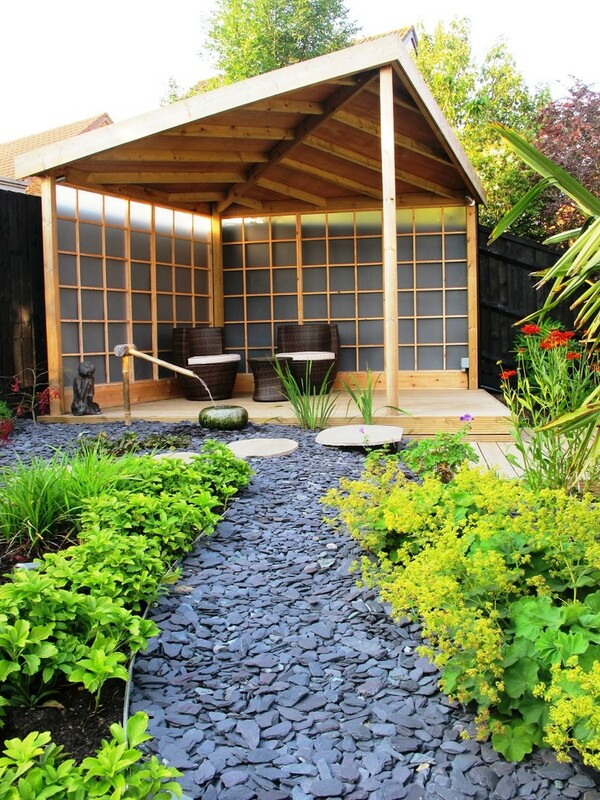 Have a look at some great examples of zen garden designs below and get inspired! 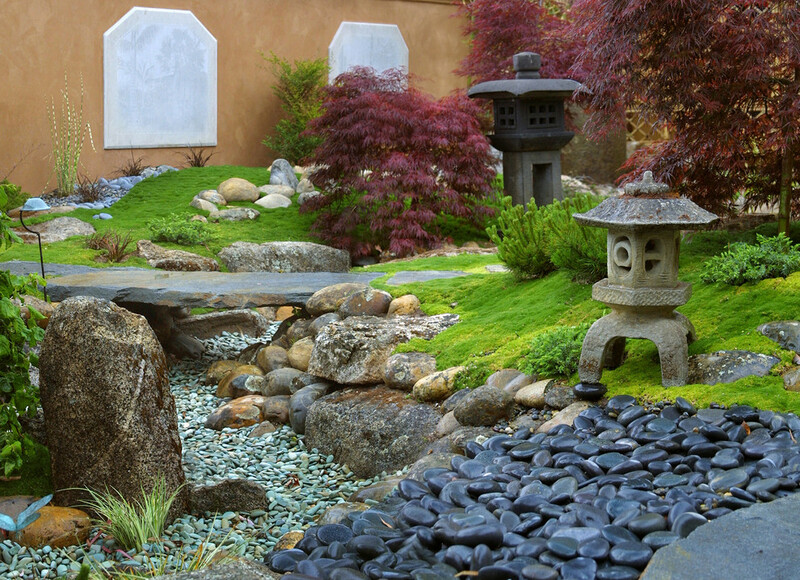 Courtyard is a perfect place for a little rock garden because it’s easier to create low-maintenence conditions there. 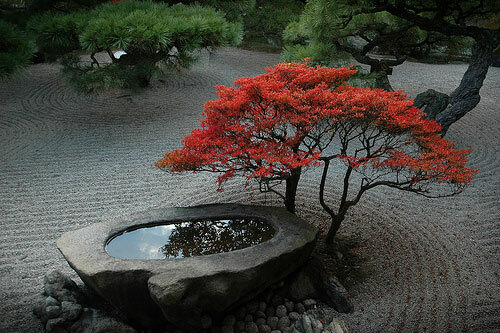 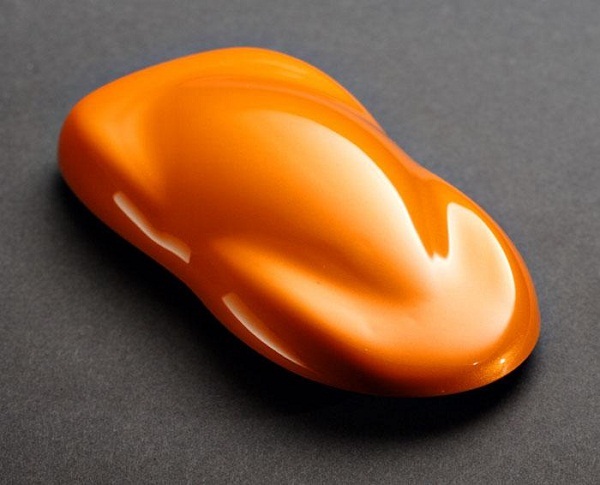 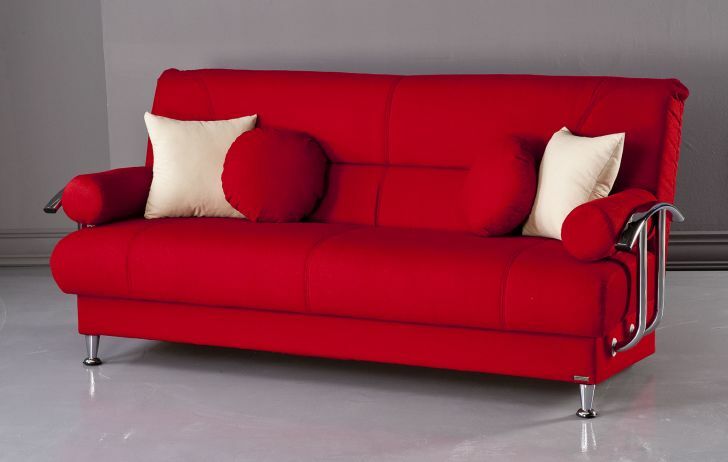 When there aren’t any colorful plants in a garden, the eye usually notice such things as shape, texture and placement. 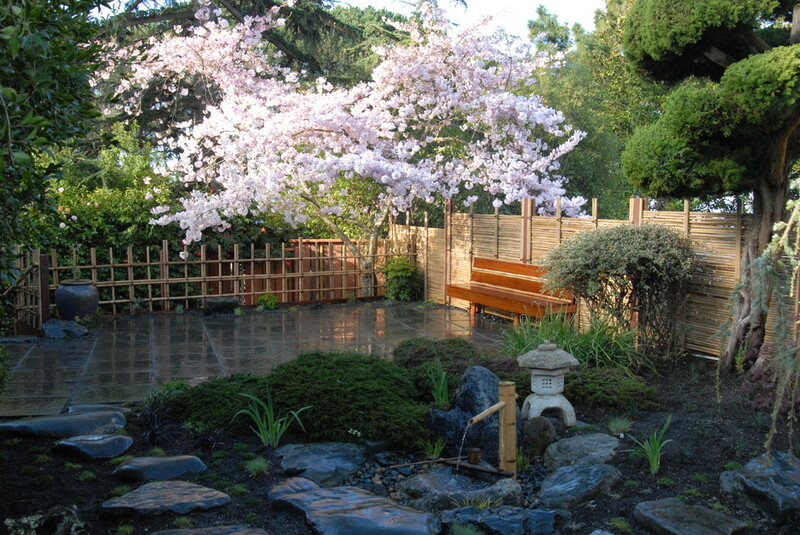 Cloud-pruned conifers could be found in many Asian-inspired gardens because of their elegant looks. 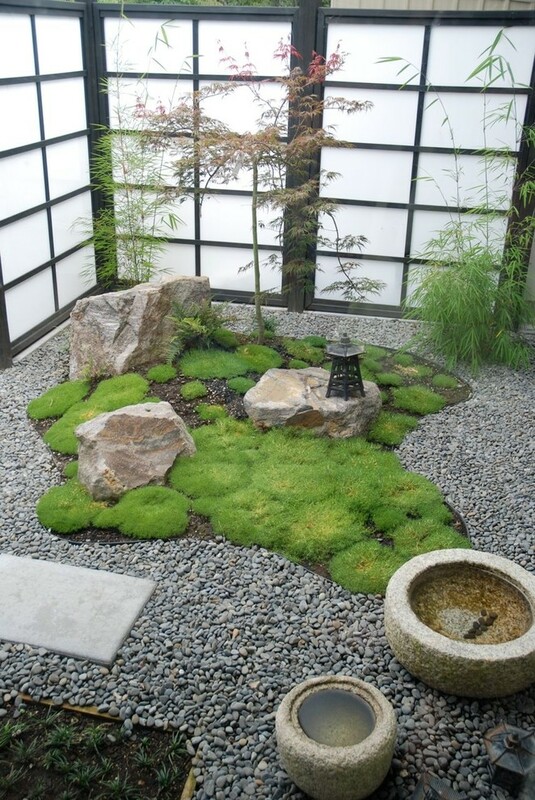 A conifer on a mossy green base surrounded by several rocks would definitely mimic some mountain’s landscape. 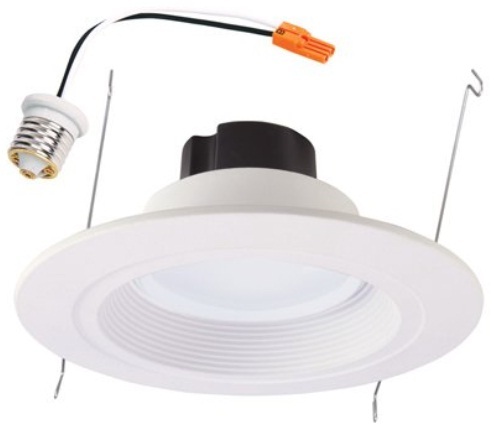 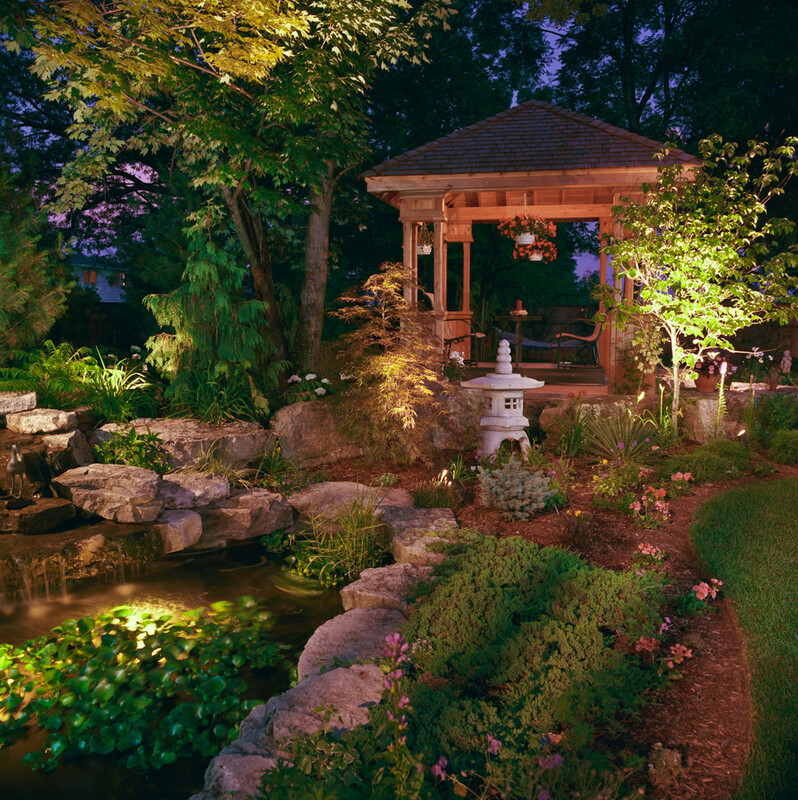 To make your garden look good during the night don’t forget to add a bunch lights. 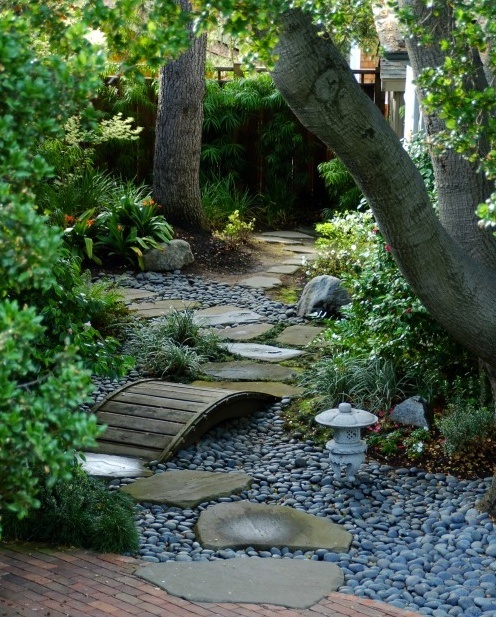 Playing with the lights and shadows is an interesting process that could bring your garden’s design to the next level. 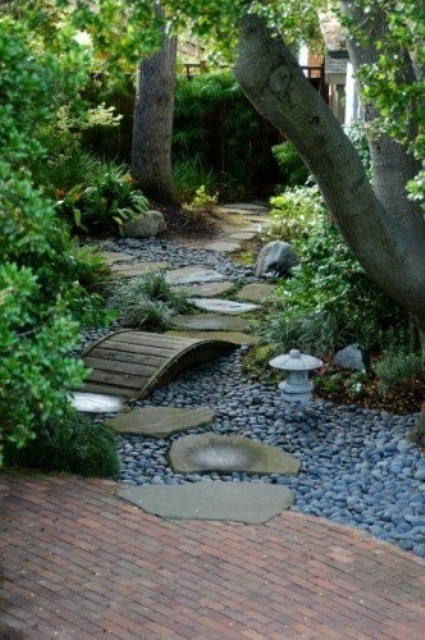 Those of you who don’t like to 7add water features to your garden could imitate a river with pebbles. 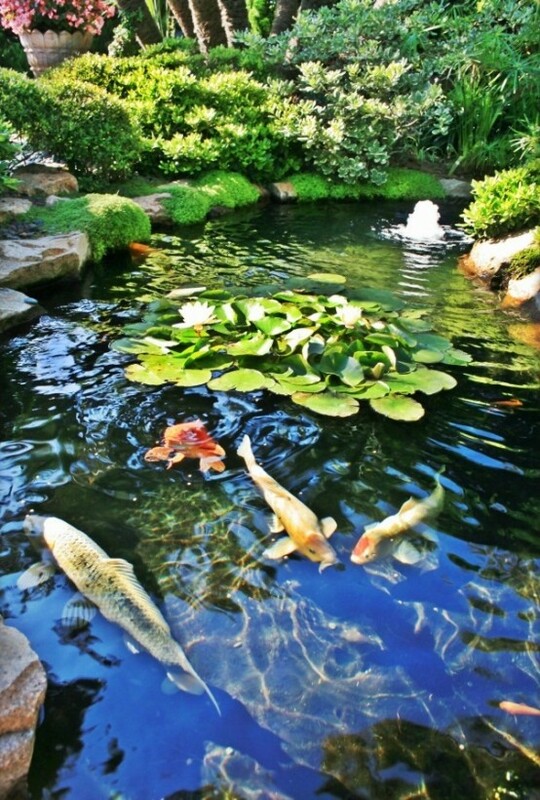 It would look even better but you won’t need to worry about insects living in water. 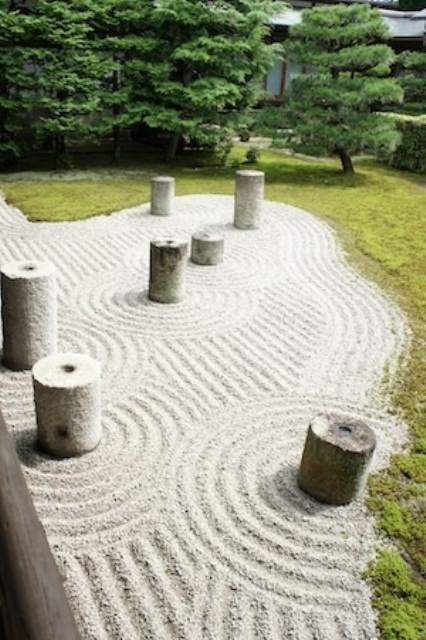 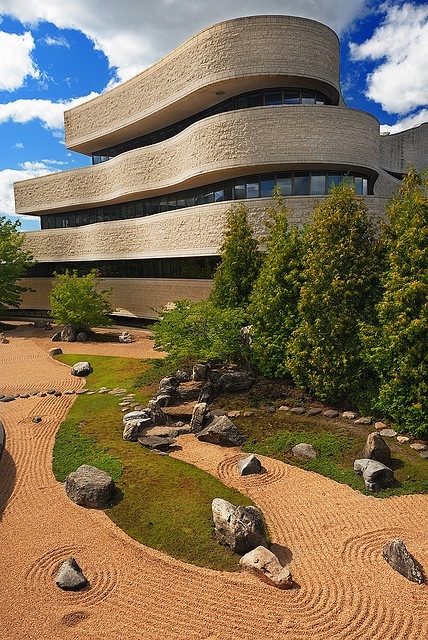 Lots of zen gardens are dry landscapes. 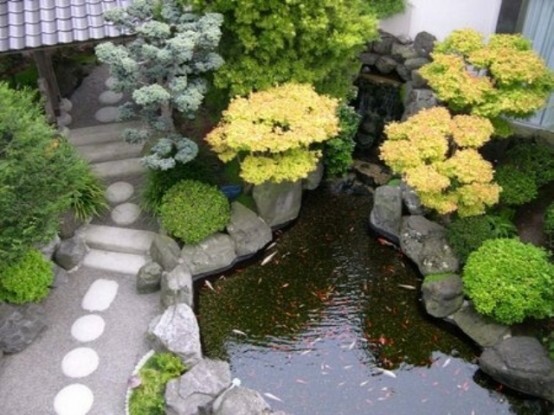 That’s why you need a lot of small stones or sand to design such garden. 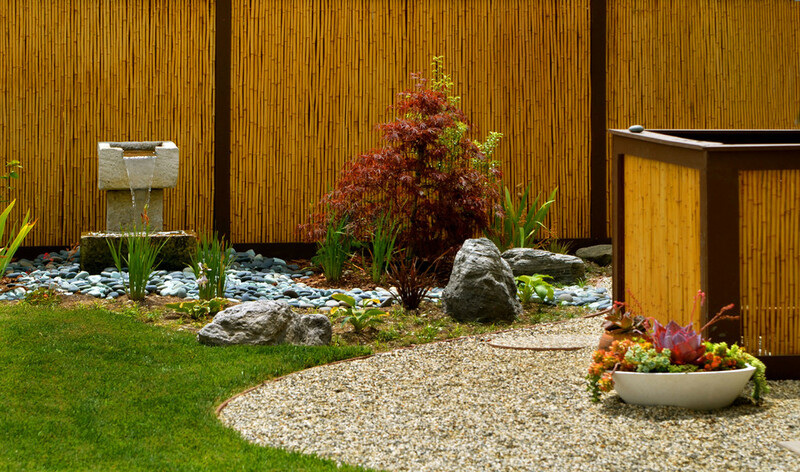 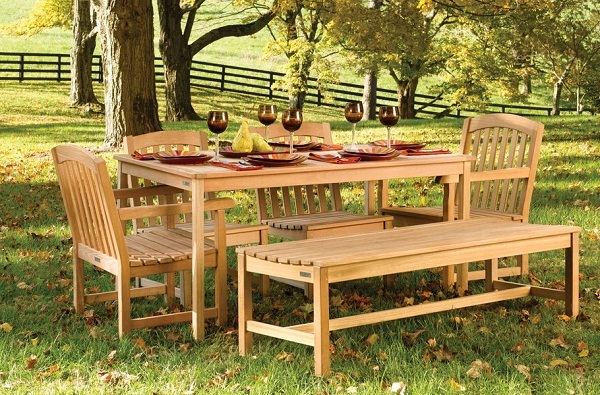 Don’t worry if your backyard is small. 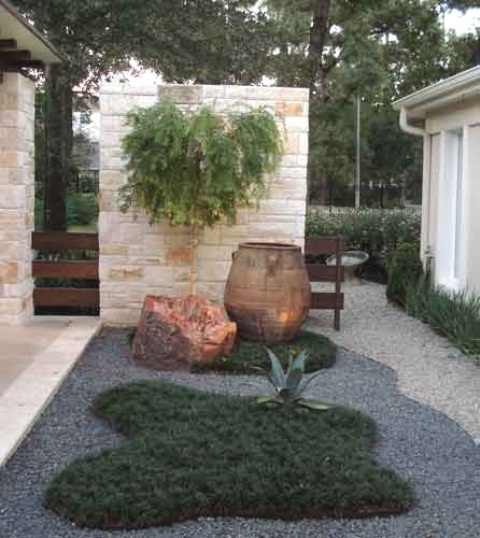 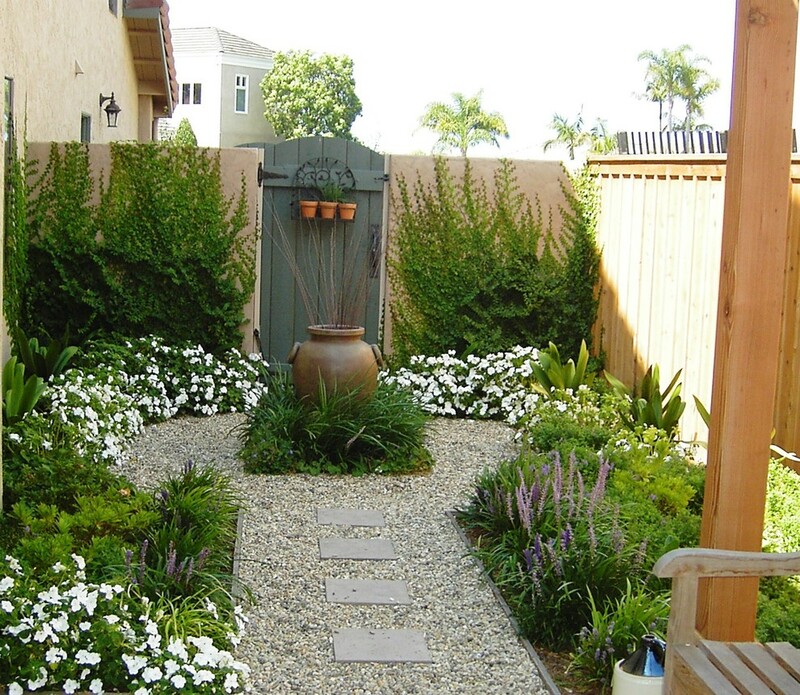 With less area to cover you can spend more on materials so your landscape would look great. 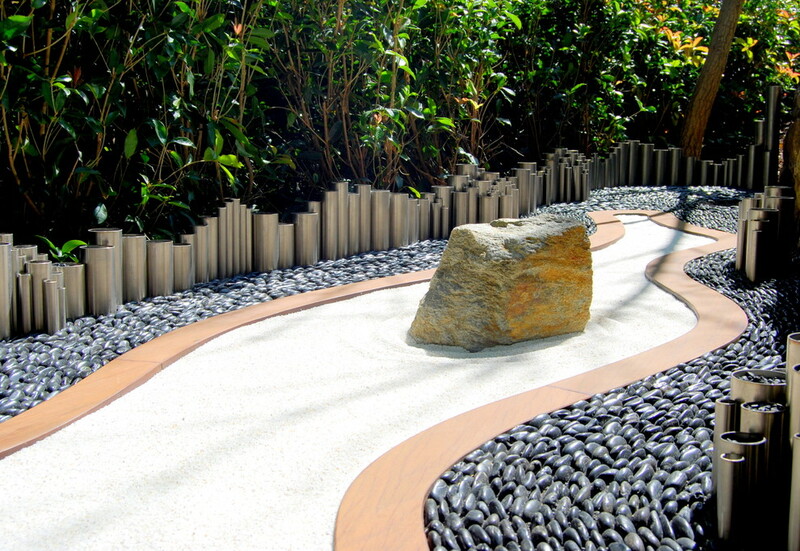 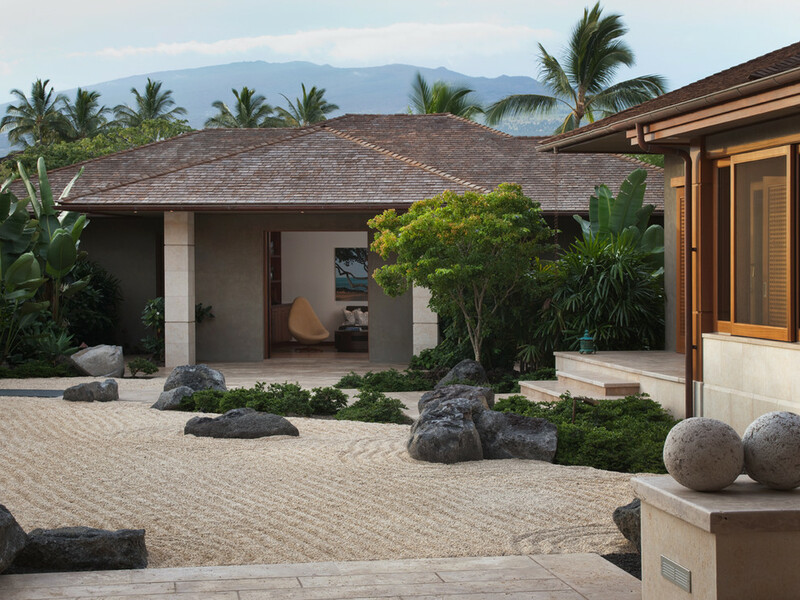 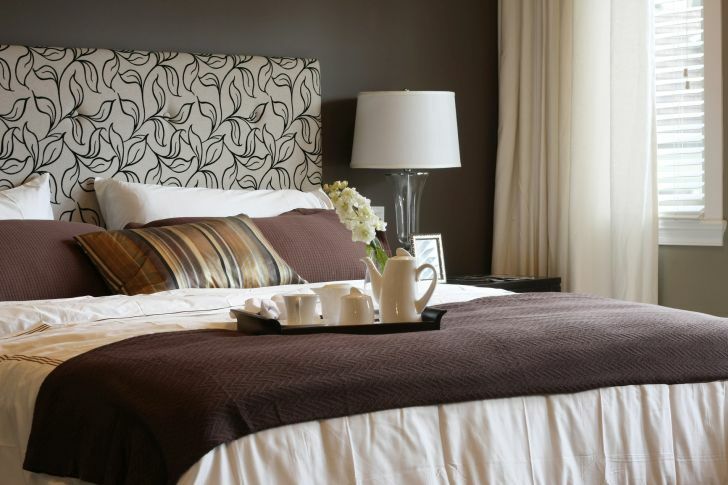 Addining stones and pebbles in different sizes is a great way to achieve this Zen look you’re craving for. 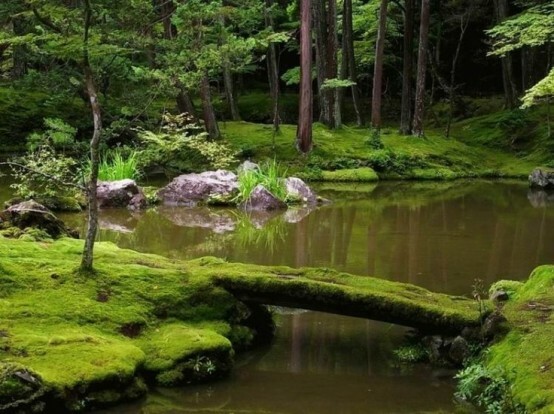 If you’ve a moist, shady area in your garden where isn’t any foot traffic, grow moss there. 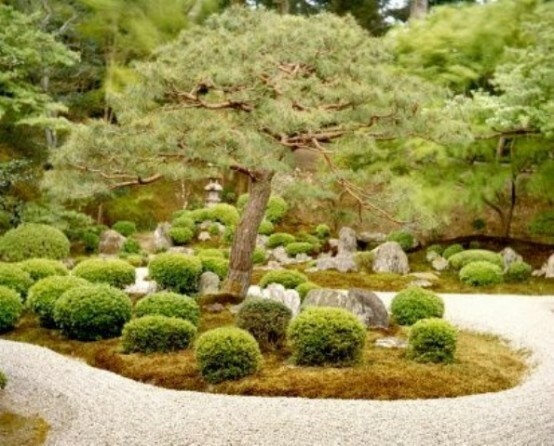 It’s a beautiful groundcover. 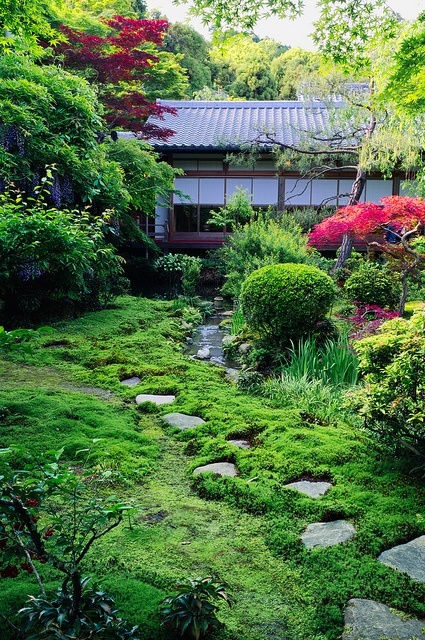 If you’re growing moss in your garden you might want to add some stepping stones because it doesn’t tolerate any foot traffic. 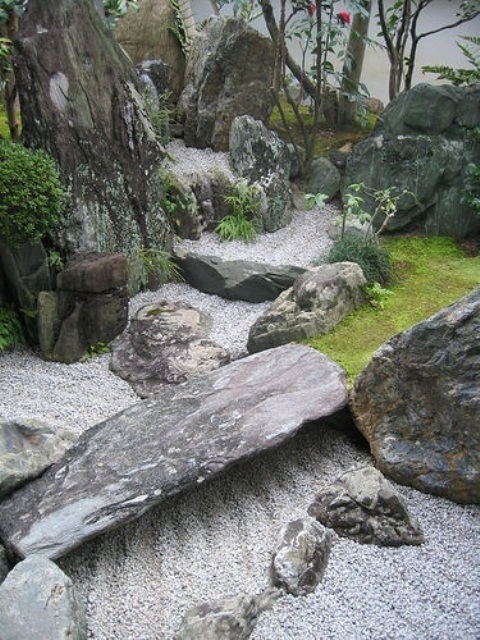 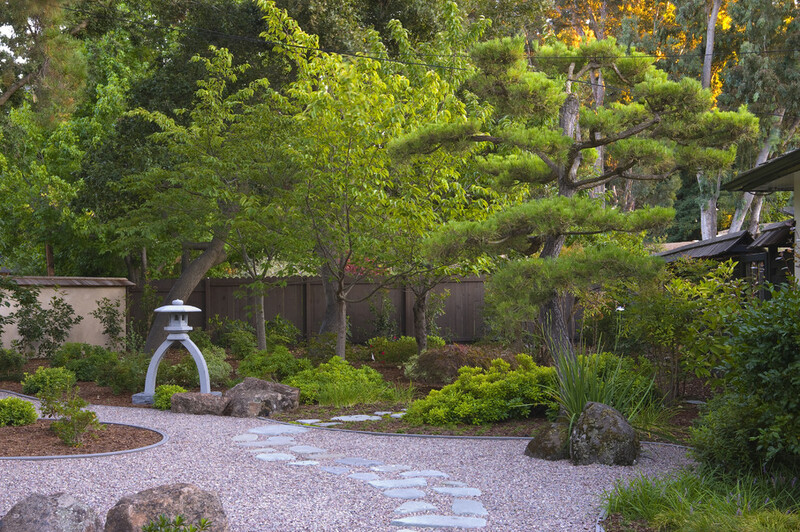 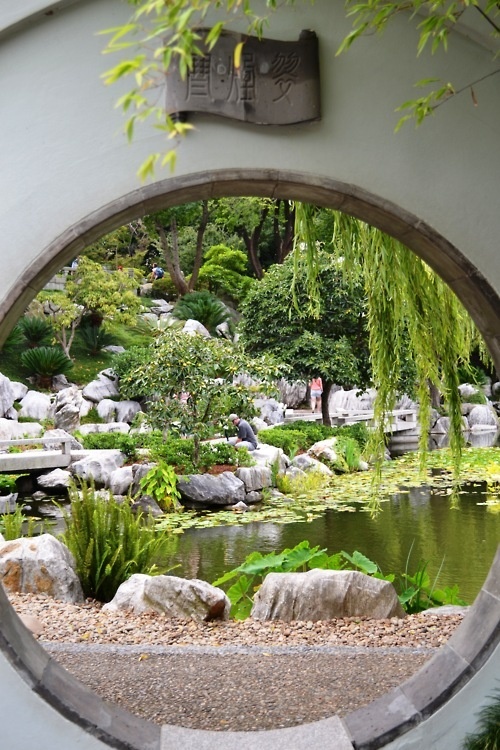 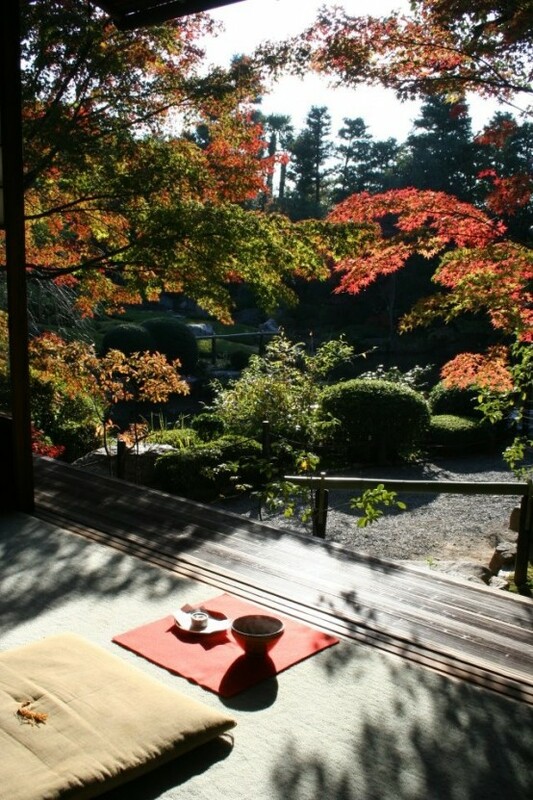 A key element in Japanese garden style is creating layers that can’t be viewed all at once. 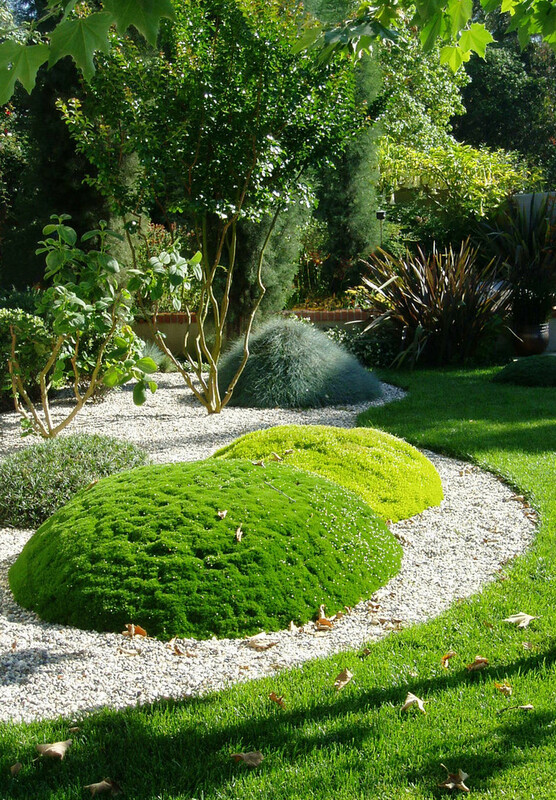 If you’re landscaping with sand you need to separate it from other parts of the garden with at least small garden borders. 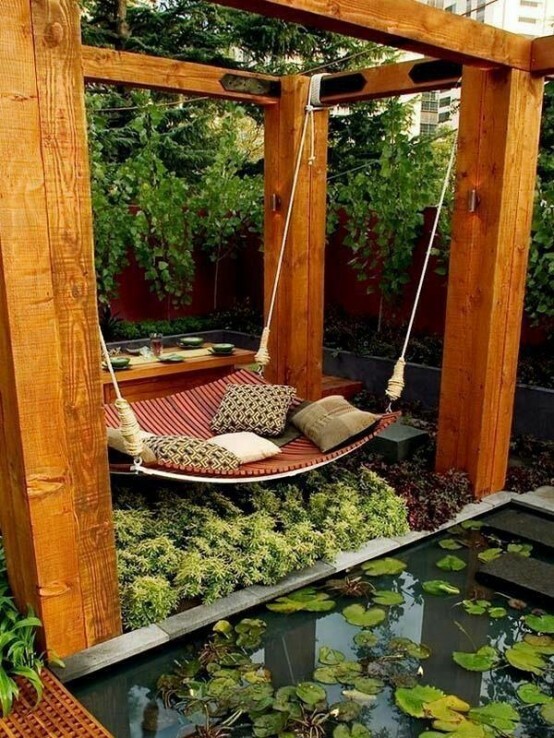 Otherwise it would be everywhere. 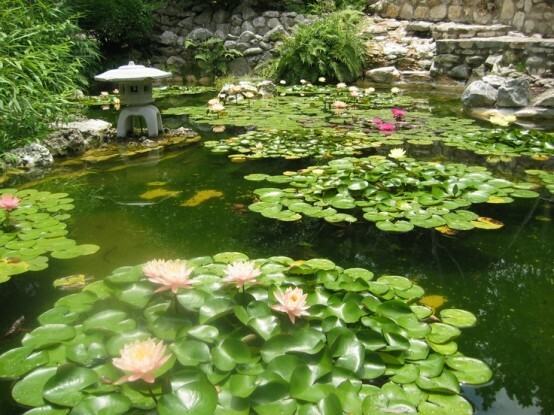 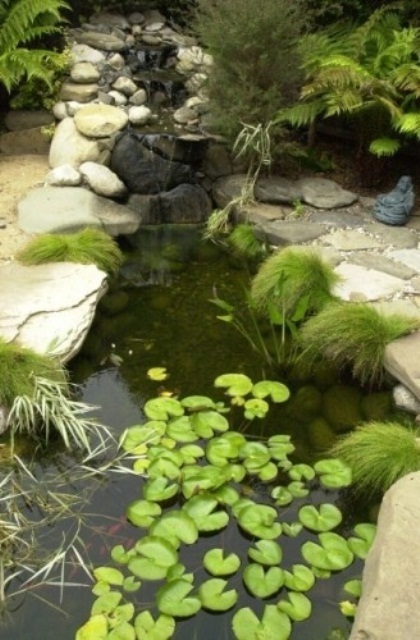 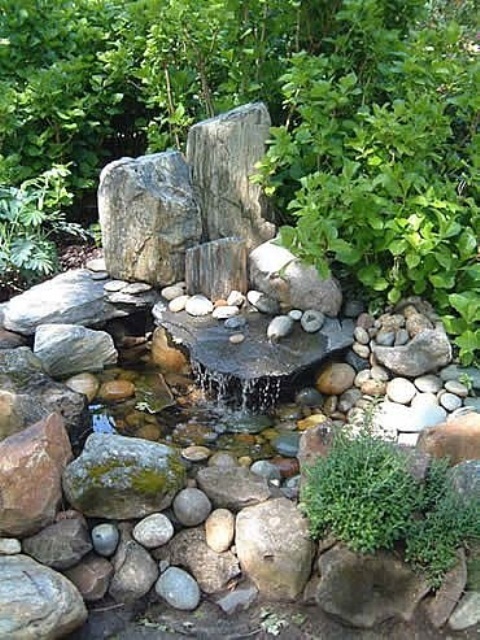 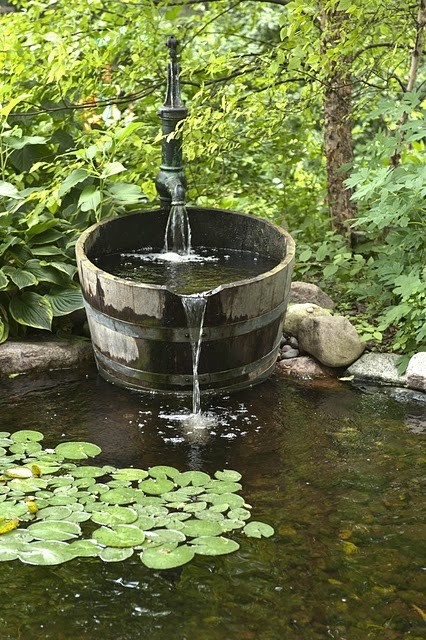 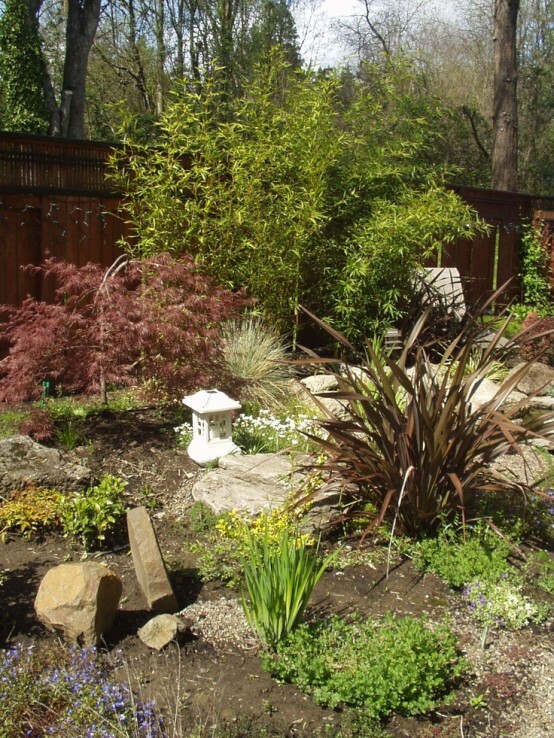 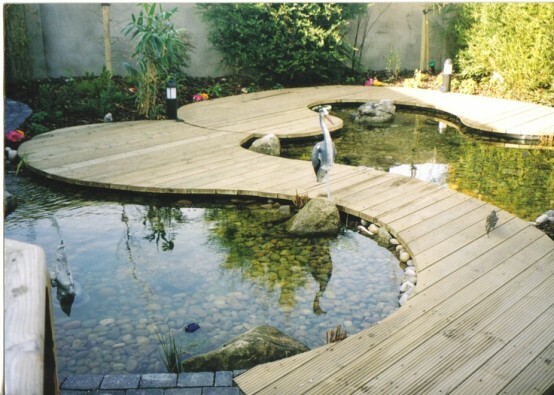 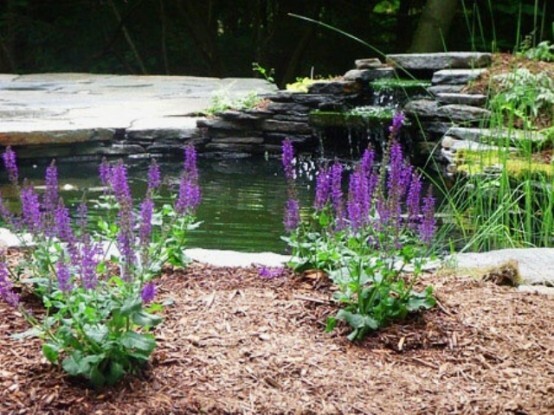 A Backyard pond is a great addition to a garden if you aren’t going for a dry landscape.